Many people believe that the roof of a structure is the most important element. It protects the contents of the building from dirt, weather, and precipitation. It also holds the walls in an upright position and ties them together. 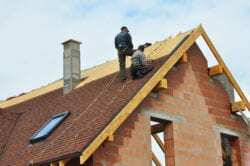 Are you looking for roof contractors in Raleigh? 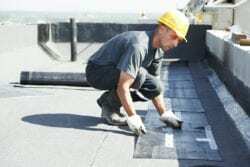 If you need a roofing service in Raleigh, NC or the nearby area, RiCal Construction has the most reliable and professional roofers in Raleigh. At RiCal Construction, we are noted for our ability to improve or to renovate the exterior of your structure. We provide excellent services to businesses and homeowners throughout the Greater Raleigh, North Carolina region. We provide top-ranked services in the installation, repair, inspection, and cleaning of siding and roofing for homes and businesses. We also take care of gutters. For more than 32 years, we have earned the reputation of the top name in the industry. We want to provide solutions which will help your property reach the ideals and goals you have set for it. At the same time, we stay within the budget which is unique to you. We work with a sizable range of materials in our projects. 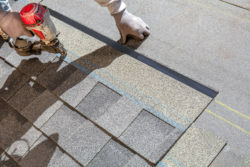 Our roofs, decking and/or siding can be made of metal, tile, vinyl, wood or cedar. Irrespective of the type of exterior your structure has, our reliable and experienced technicians can improve them or replace them so that your structure’s appearance matches the dream you have for it. The need for aesthetic appeal is a major reason why customers decide to call in experts to take care of the project. Just as important is to make sure that the exterior of the structure is not damaged or aged in such a way as to render it useless for the intended purpose. Our certified, trained and experienced craftsmen are prepared to add a personal touch to each project which they undertake. We are so certain of their skills that we provide a lengthy warranty for each of our repair and exterior maintenance jobs. We provide on schedule completion and cost-effective processes from beginning to end. We ensure that your final product exceeds the expectations you have for it. Our team members are dedicated to providing great value and honesty. You can be certain that our professionals offer integrity, accountability and top quality service. We employ our team in a range of communities throughout our region. 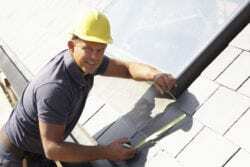 If you are looking for reliable roof repair in Raleigh, our experts are ready to respond quickly and accurately. You can call (919) 771-0207 today!